The perfect bundle for metrologists and scientists who want to calculate uncertainty like an expert. 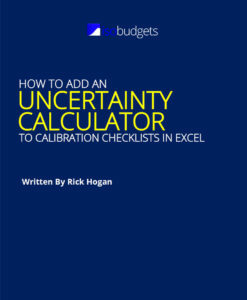 The ultimate guide to calculate uncertainty. 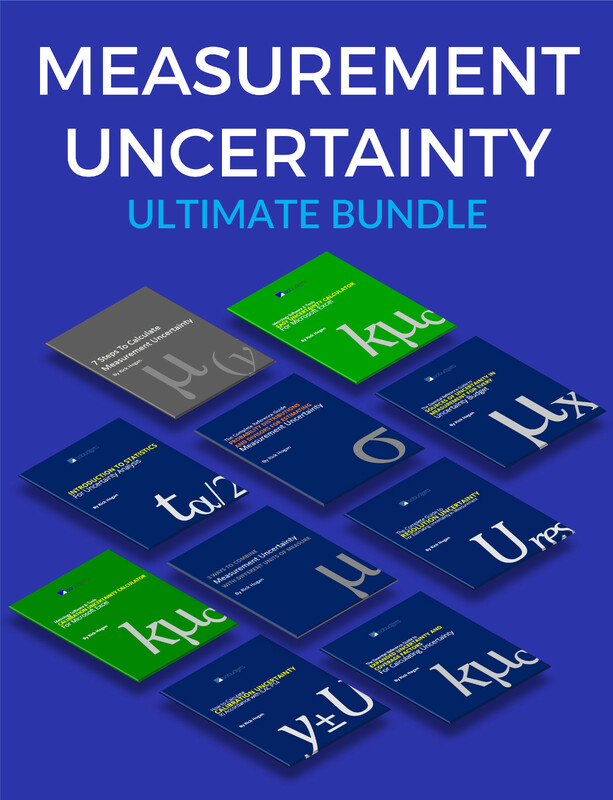 The ultimate bundle for professionals who want to master uncertainty analysis. Want to calculate uncertainty like an expert and to find advanced methods to uncertainty analysis? Are an auditor or consultant who needs to become a subject matter expert on measurement uncertainty? Is your laboratory seeking ISO/IEC 17025:2005 accreditation? how to use statistical methods to analyze and calculate uncertainty. what probability distributions you should use in your uncertainty analysis and how to use them. how to choose coverage factors using the Student’s T table and calculate expanded uncertainty. 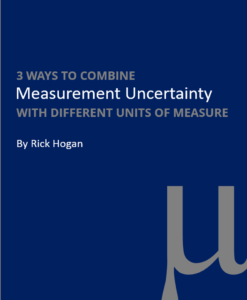 how to calculate and use sensitivity coefficients for your uncertainty analysis. 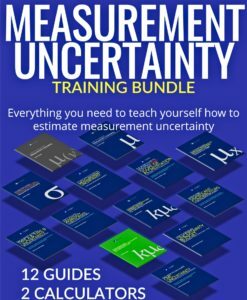 In this bundle, you will get 8 of my best selling uncertainty guides and 2 of my exclusive measurement uncertainty calculators for excel. These products regularly sell for $29 USD each. That’s normally $290 for all ten. However, if you buy the Ultimate Bundle, you will SAVE $61! Buy the Uncertainty Ultimate Bundle today for Only $229 USD! Hours of statistic and geometry to learn what you put in 10 minutes of reading. The Introduction to Statistics for Uncertainty Analysis is very helpful and a great resource. 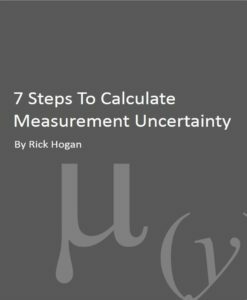 That is really great such a guide to statisitcs for estimating uncertainty of measurement. Some of those topics was a big disaster for me. What you are doing is the brightest object in the sky (by far) ans so I glady support it.